Here we will show that the straight lines joining the extremities of the base of an isosceles triangle to the midpoints of the opposite sides are equal. 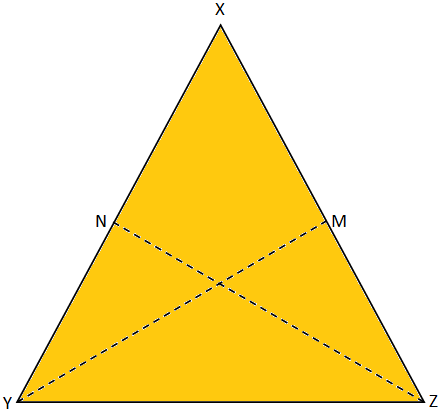 Given: In ∆XYZ, XY = XZ, M and N are the midpoints of XY and XZ respectively. To prove: ZN = YM. 2. N is the midpoint of XY. 3. M is the midpoint of XZ. 4. from statements 1, 2 and 3.